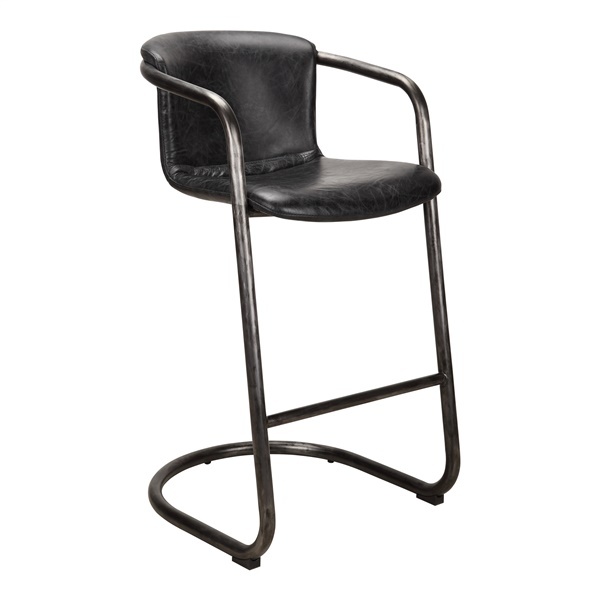 Boasting a modern, industrial style, the Freeman Bar Stool is furnished in an antique black finish that will easily complement any bar space. The piece is durably crafted with a solid iron frame, rendering a curved base and arms for added flair and elegance, Meanwhile, a plush, top-grain leather seat and convenient built-in footrest offers optimal comfort and support day in and day out. If I were to order these on back order, when's the expected ship date? For 555.52, does that include two bar stools? The Freeman Bar Stool is priced individually, so 1 stool will be $555.52. The next restock date will be 8/27/16.